The Save As External functionality makes it easy to perform quick data transformations. For instance, if you have a table in Strata and wanted to save it locally as a CSV or DBF file, you would use Save As External to perform this operation. To save a table in this way, open the table and select "Save As External" from the File menu. 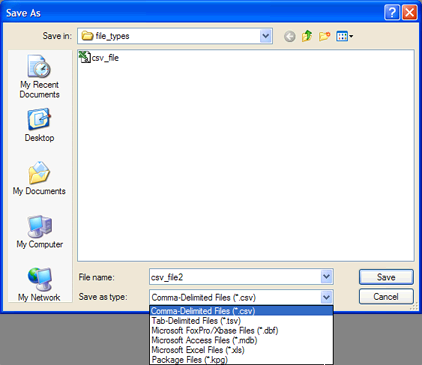 Enter a file name and then select the file type you wan to save it to. Click the Save button to finish the operation.